PENDER COUNTY — After the final bell rings, the 21st Century Community Learning Centers Program begins. 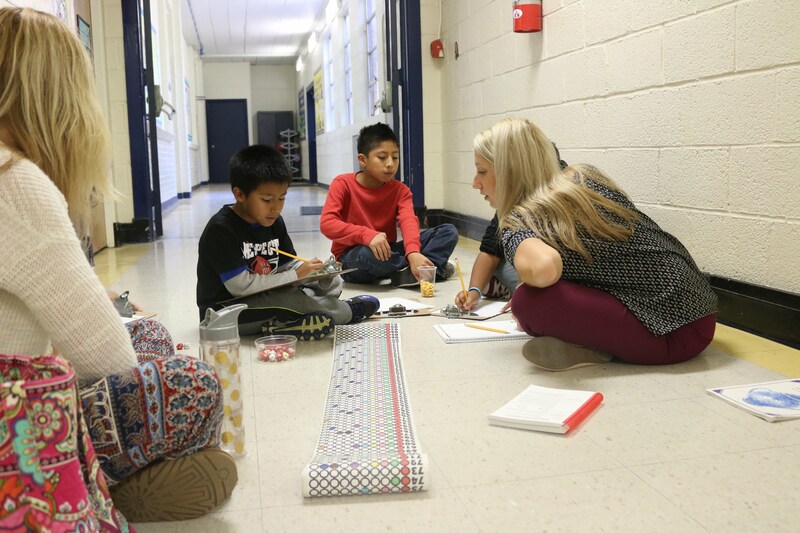 At Rocky Point Elementary, teacher interns from the University of North Carolina at Wilmington can be found practicing reading skills with students huddled around tables in classrooms and working with groups of students to solve mathematic equations in hallways. Fifteen teacher interns from the university are participating in a pilot program at Rocky Point Elementary that gives them the opportunity to spend three semesters at the school, working alongside staff as they hone their skills as educators. 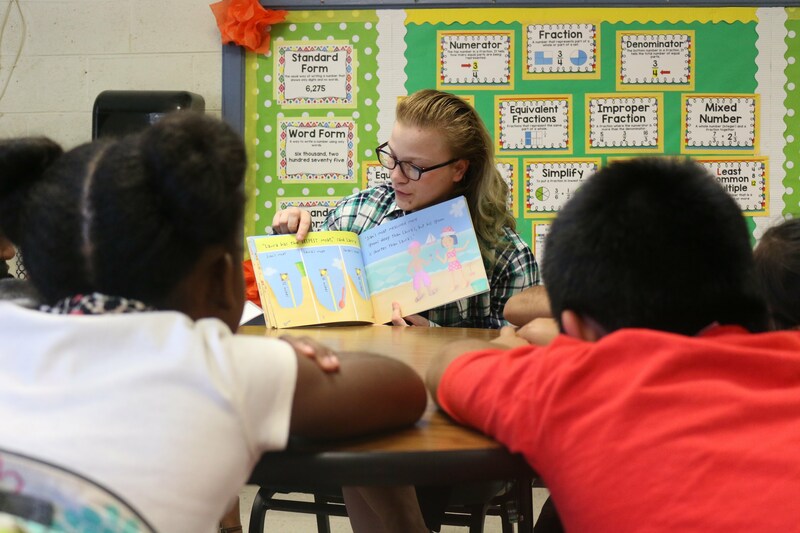 As part of their training, teacher interns serve as volunteers for the 21st CCLC program, meeting with 48 Rocky Point Elementary students on a twice-weekly basis. The 21st CCLC program provides expanded learning opportunities to eligible students in all of the district’s Title 1 elementary schools. 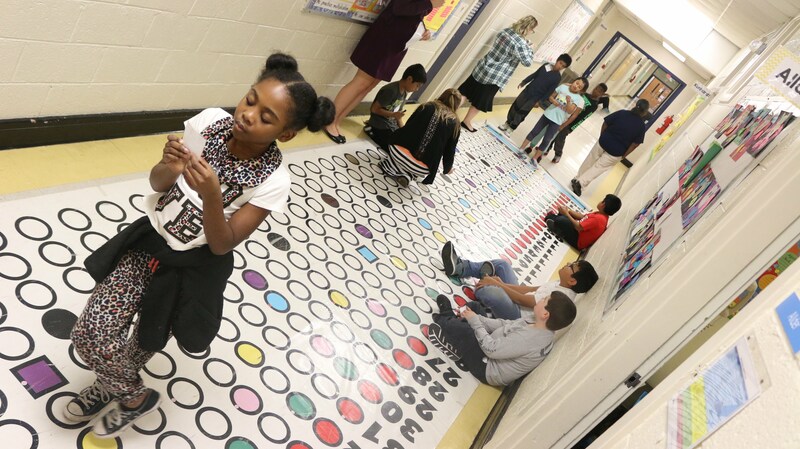 It is made possible thanks to a federally-funded grant administered by the North Carolina Department of Public Instruction. Liz Barber, UNCW adjunct professor who coordinates the pilot program at Rocky Point Elementary with Dr. Heidi Higgins, UNCW Elementary Education Undergraduate Program Coordinator, said through 21st Century interns are able to conduct hyper-focused, engaging lessons and activities with students to promote academic growth. “We try to bring to these children the absolute finest tutoring they could possibly have,” Barber said. Dr. Dawn McKernan, Rocky Point Elementary principal, said the partnership has greatly benefited students through building powerful learning relationships. Teacher interns play an important role in supporting initiatives in place at Rocky Point Elementary to continue high student growth during their three semesters at the school, McKernan added. They are familiar with students’ academic needs, the school’s demographics, and they understand the school’s mission. In turn, the partnership allows interns to receive invaluable experience in a welcoming environment during their induction to the teaching profession. Several teacher interns at the school have been hired as teachers and/or teacher assistants at Rocky Point Elementary, and others have been hired at other schools in Pender County.